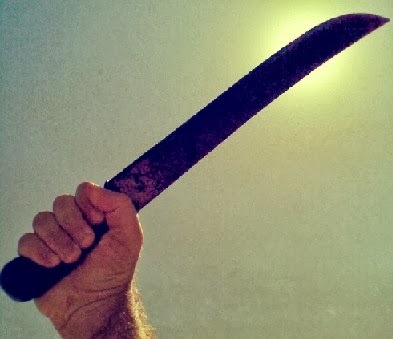 A music industry veteran was hospitalized in Los Angeles after his girlfriend's ex-husband attacked him with a machete and scalpel. Jerry Sharell, who hosts a radio show on KKJZ-FM, was visiting his girlfriend at her home in the Woodland Hills neighborhood of Los Angeles Sunday morning when her ex-husband showed up with a machete. Who Stole DJ Sneak USB Pen Drive?